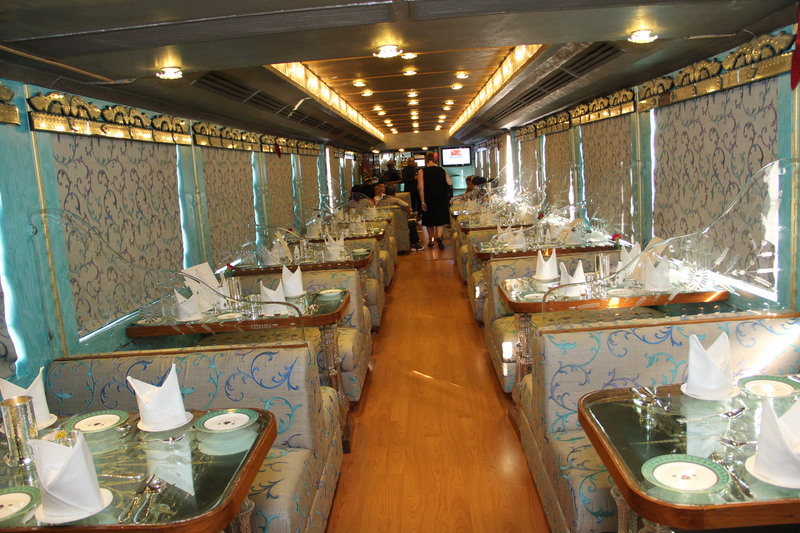 One of the India’s top super luxury train Royal Rajasthan on Wheels (RROW) embarked on its first commercial journey of the new tourist season on Sunday from Safdarjung Railway station in New Delhi. On its first trip trains had 26 passengers. This train is jointly operated by Rajasthan Tourism and Indian Railways. This train has been running since 2008. 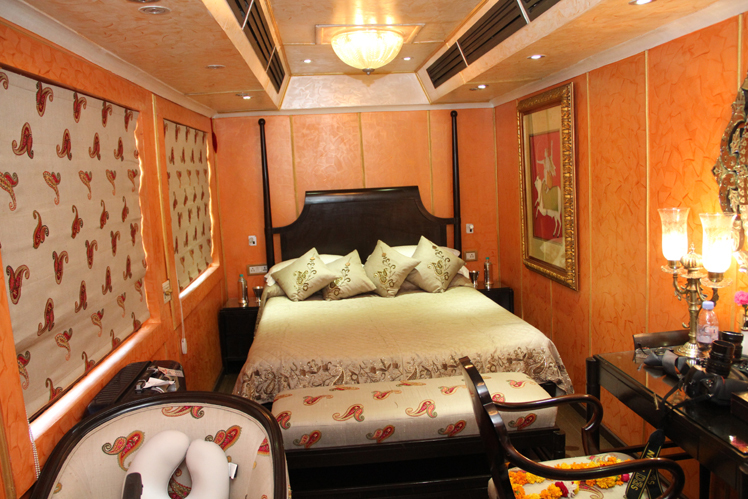 This is second luxury train running in Rajasthan besides Palace on Wheels (POW). Leaving Delhi, this train will take travelers to tiger reserve of Ranthambore, historical fort of Chittorgarh, City of lakes Udaipur, Blue city Jodhpur and Pink city Jaipur in Rajasthan. Outside state train will go UNESCO world heritage complex of Khajuraho, city of TAJ Agra and Varanasi before returning to Delhi in a weeklong journey. This train has been upgraded with some modern facilities as onboard spa, gym, etc. Train has a total capacity of 82 passengers. In a deluxe saloon per person per night fare on twin sharing basis in a coupe is 590 US dollars. Fare for a super deluxe saloon is 1600 US dollars per night.